KATHMANDU, Aug 22: Tax officials say that they have been failing to bring trade of fruits and vegetables under the tax net because of informal nature of such trade. Though government authorities have long been saying that such trade should be under the tax net for the past many years, it has not happened yet. Small time farmers are exempt from paying any taxes. But income of commercial farmers as well as wholesalers and retailers, including those in Kalimati Fruits and Vegetables Market, is taxable. "But most of these traders have neither registered their business, nor do they have Permanent Account Number (PAN)," Yagya Dhungel, the spokesperson for the Inland Revenue Department (IRD), told Republica. Interestingly, these traders manhandled market monitoring officials from the Department of Supply Management And Protection Of Consumers Interest at the Kalimati market Monday morning and also obstructed supplies of essential services. The traders pay farmers peanuts, but sell farm produce bought from them at exorbitant prices. "Though these traders do business worth millions of rupees annually, they have not registered their businesses. They do not pay any tax to the government," Dhungel added. The government mobilized negligible revenue from these traders in the past fiscal year years even though their transaction is worth billions of rupees. As per the Constitution of Nepal, the taxation on fruits and vegetable is no under the jurisdiction of provincial governments. But these governments have not come up with any action plan on taxing this sector so far. 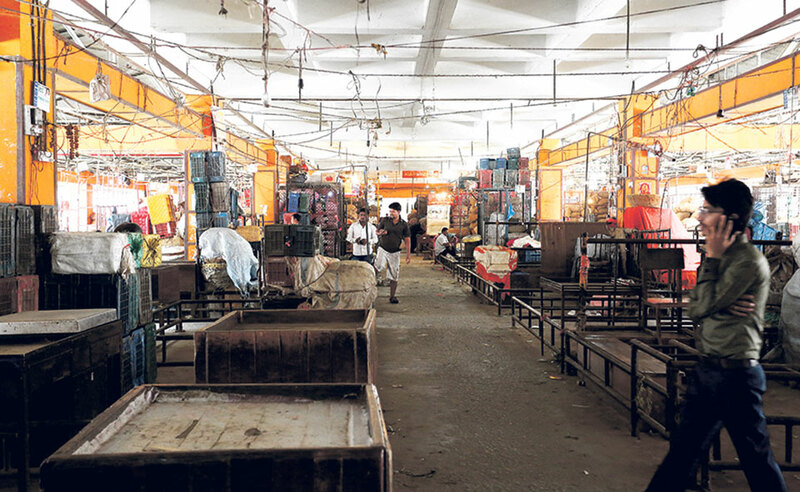 "Now it is the responsibility of the provincial governments to bring needful law and bring such traders under the tax net," Chandra Kala Paudel, the spokesperson for the Ministry of Finance, said. KATHMANDU, Aug 22: Ministry of Finance has targeted to collect Rs 1 billion from advance tax from vegetables and fruit importers in the current fiscal year. After finding that importers were paying less than 1 percent of their total annual transactions as income tax, the government has imposed 5 percent Tax Deducted at Source (TDS) on vegetables and fruit traders at customs points to make them tax compliant. Nepal imports Rs 20 billion worth of fruits and vegetables every year. According to officials, tax offices collected Rs 80 million from such traders and importers in the first month of Fiscal Year 2018/19. Buoyed by the collection figures, tax officials say that the collection could go above the target of Rs 1 billion.